In The Wrong Side of Right, Kate Quinn is still reeling from the death of her mother, and dealing with the move from her hometown of Los Angeles to South Carolina, where she is currently living with her aunt and uncle in the wake of her mother’s fatal car crash. One day, she comes home to find out that her father is Senator Cooper, who is running in the Presidential race against the current President, President Lawrence. In a whirlwind summer, Kate becomes Kate Quinn Cooper, poster child for the perfect offspring of a President. This books has been on my list of books to buy for months. I liked Kate, and I liked how the story was centered around her and her life, not around her love life with Andy Lawrence, the President’s son. With the election, it was cool to read something similar to what is going on around me right now. The family dynamic between Kate and her step-siblings felt real, and the characters developed nicely. 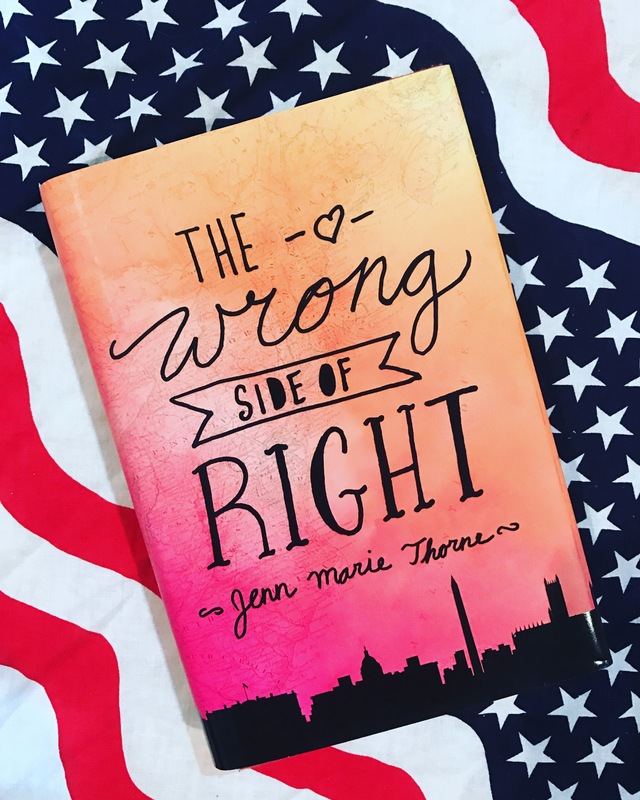 While I would love a sequel, Jenn Marie Thomas wraps the ending up quite nicely. Connect with the author! You can find Jenn Marie Thorne on Twitter at @juniperjenny and on Instagram at @JennMarieThorne!